Do you have to take off your work outwear before you begin working? If it is easily-stained, restrictive, and uncomfortable, replace it with this ready-to-work Wrangler Men's Black WJ40 BK Water Resistant Insulated Jacket. The black material used to create this ... (see full details) (see specifications) #WRGWJ40BK. Do you have to take off your work outwear before you begin working? If it is easily-stained, restrictive, and uncomfortable, replace it with this ready-to-work Wrangler Men's Black WJ40 BK Water Resistant Insulated Jacket. The black material used to create this Wrangler Workwear jacket is a 7.5-ounce canvas weave of 60% cotton and 40% polyester. Cotton is soft and breathable, a perfect match for wrinkle-resisting, quick-drying polyester. The toughness of polyester makes this fleece-lined work staple easy to wash, and you can count on it to stand tough against the elements. It's also water-resistant thanks to the tight canvas weave. A collar tops off the zip-up front, creating a professional look. This black jacket is constructed to keep its good looks no matter what your workday and the weather throw at you. The fabric retains color and resists soil and wrinkles. Even the style is made to look neat. The side pockets are inset to leave allow for a front with a sleek appearance. Inside, the soft warmth of the 100% fleece lining surrounds you in insulating comfort when you are wearing this uniform jacket. Soft fleece helps you maintain your natural body heat even in cold weather. The sleeves are made with action elbows to give you a full, easy range of motion. Full, seamless underarm gussets (extra fabric) give your arms lots of moving room. Adjustable cuff closures help you get just the right fit. Double-needle stitching creates a neater, cleaner appearance, ideal for workwear. Double-needle stitching is done with two threads, not one, to create twice as much durability as garments made with just one thread. Don't wear stiff, uncomfortable clothing that stains easily. Put on this Wrangler Men's Black WJ40 BK Water Resistant Insulated Jacket instead and get ready for durable comfort. We have them right here at Working Person's Store. Order today! 149 out of 149 people found this product review helpful. I've had this Wrangler Work Jacket for several years now and I am very pleased with it. It's a medium weight Jacket, so it works great for me to wear to work, and I just add some layers of clothing under it on the more colder days. I still wear this Jacket after having it for several years and it still looks great. It also washes up Nice for being a medium weight Jacket and comes out wrinkle free. I would definitely buy this Jacket again, and would recommend it as well. Jacket looks and feels great!!! Very stylish and is great for work! Roomy to move around in for lifting work loads. And good looking enough to head out for the evening after work. Great price and great jacket to have in your closet! Cleans easily after heavy work...the cuffs and collar are easy to adjust, heavy duty zipper and just look classic. I have received my order and the service was great! Thank you! 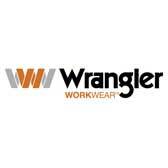 Wrangler Workwear Jackets: Men's Black WJ40 BK Water Resistant Insulated Jacket is being added to your cart.